This past May I went to make this same photo of the San Diego skyline with the harbor in the foreground. The conditions were not ideal as there was a significant haze in the air which greatly reduced visibility. You can view the photo and read about it here. During a recent trip to this location a rainstorm had passed through the area the day before and caused all the small particulates to be removed from the atmosphere. As a result, conditions were much better with visibility so great that even the distant mountains were visible. I think you will agree that the photo with clear skies turned out much better. 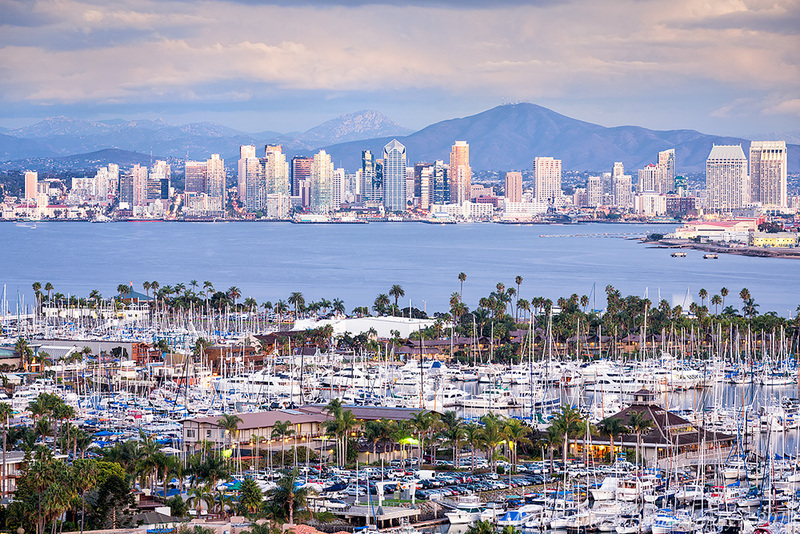 Like with my past trip to shoot this location, I set up midway up Lucinda Street in Point Loma and pointed my camera due east towards Downtown San Diego. The harbor in the foreground is around 1/4 mile down the hill and the small land mass you can see in the midground camera right is North Island Naval Air Station, around 2 1/2 miles out. Downtown San Diego is around 4 miles east of where I was standing and you can now clearly make out the mountains which are around 16 miles out. The first shot was made around 30 minutes prior to sunset. In this shot both the skyline and harbor are fully lit. As the sun began to set, the harbor went into shadow. I had to wait until the sun had fully set before I was able to shoot the second shot so that both the city and harbor were in the same light. Both images were taken at f/8 since this is the aperture that I could get edge-to-edge sharpness on the lens I was using and also since the closest object was around 1/4 mile away and this aperture gave me sufficient depth-of-field. Thanks for your continued interest in my posts and for leaving a comment! such a beautiful view, and of course you captured it wonderfully! definitely worth the wait! amazing, you are such a patient dedicated person, but then you photos reflect this! Wonderful shot Mark, your series of photos around SD makes me want to make a trip down your way and see for myself. Inspiring work! Cheers. Wonderful photograph Mark. 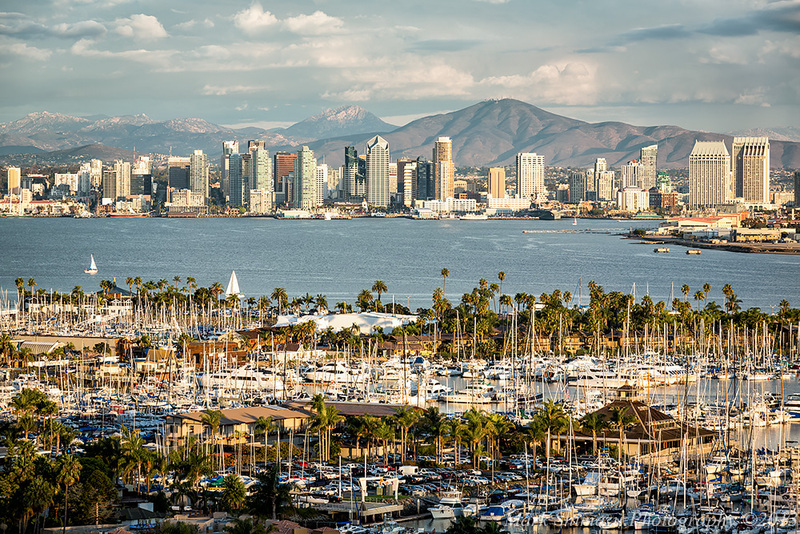 You don’t often see San Diego from this angle – beautiful with mountain backdrop. Impressive work on your final image. Splendid shot, Mark. Amazing depth.